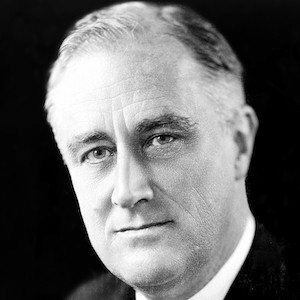 The 32nd President of the United States, he greatly impacted world events during the Great Depression and served an unprecedented four terms. He served as the editor-in-chief of The Harvard Crimson daily paper and, after graduating from Harvard in 1903, entered Columbia Law School. He developed polio as an adult and worked hard to conceal the severity of his condition from the public for the rest of his life. 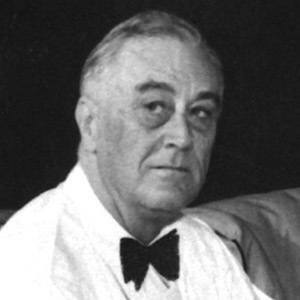 He came from one of New York's oldest and wealthiest families, the Roosevelts, and married his fifth cousin, Eleanor Roosevelt, with whom he fathered six children. Harry S. Truman succeeded him as president following his death in 1945.